Website Design is largely about enhancing the user experience of your website. You have to make your website visually appealing and SEO friendly for driving a large number of traffics in it. However, once the visitors land on your website, they must be able to navigate your whole site quickly and easily. That’s when the navigation menu plays the critical role. A Navigation Menu is a user interface element section of a website that contains links to different contents (pages/posts/custom posts types). It allows your site visitors to navigate through all your contents, without any distraction. This not only improves the usability and accessibility of your website but also decreases the bounce rate and help you generate quality leads for your business. WordPress, being a flexible platform for building a perfect website comes with inbuilt menu section with its configuration options. However, in the era of advanced marketing trends, the default menu provided WordPress might simply not be enough to display all your website content in a stunning way. Thereby, if you want your menu section displays all the important contents and make beautiful menus, you can take help of WordPress Menu Plugins. There are different types of WordPress Menu Plugins available on the internet that contain different navigation features, layouts and customization options for enhancing the functionality and design of your default WP menu. Some of them are Mega Menu Plugins, One Page Navigators Plugins, Fly Menu Plugins, Circular Menu Plugins, etc. Here, in this article, we will discuss about WordPress One Page Navigation Plugins. One Page Navigation Plugins are those type plugins that allow you to navigate all your website contents on a single page. Unlike other menus, one-page navigation menu does not disappear after scrolling but remains sticky on the header, footer or at the sidebar of your website. Besides, these plugins come with multiple effects to display the contents of your in a stunning fashion. Now let’s discuss some of the Best WordPress One Page Navigation Plugins that I have collected. These plugins are well tested and work well with all types of WordPress themes. Also, these plugins contain tons of customization options to configure your navigation panel as per your preference. 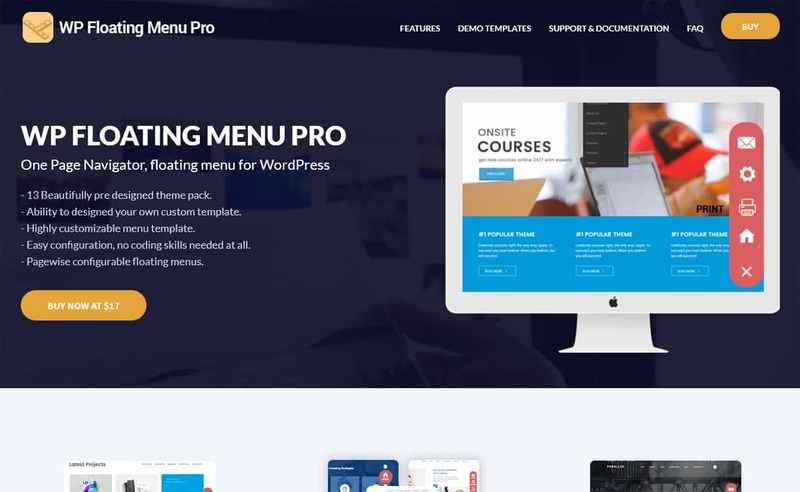 WP Floating Menu Pro is a smart WordPress Navigation Menu Plugin that allows creating one-page navigators and sticky navigation menus in few clicks. It is a 2 in 1 plugin that allows you to enhance your website usability by adding one-page navigation menu and many other sticky navigation menus. The plugin comes with 13 elegant templates to choose a perfect menu template matching the overall design of your WordPress website. Using the templates you can build an unlimited number of navigation menus. It is a highly configurable plugin that contains page wise configurable options. It means you can define each menu individually in a particular page. Additionally, the plugin also features inline navigation. The inline navigation feature allows you to convert any website into one page. Smart One Page Navigation is an amazing WordPress Plugin that allows you to build one-page navigation menu in minutes. With this plugin, you can create unlimited navigations with the help of powerful features. Besides, the plugin contains one click demo import option that lets you copy the demo and create the menu with the same look as it is presented in the demo. It is highly customizable that contains tons of customization options to configure your menu as you like. There are unlimited color options provided to change the color of your navigation menu. Besides, the plugin also supports 700+ Google fonts, FontAwesome icons, and image icons as well. Full Page Switch is an ultimate One Page Navigation Plugin that enables you to add beautiful side menu on your website. It comes with 90+ animations for scrolling and navigating your site. Besides, the plugin also lets you create a full-screen scrolling website as well. It is a highly customizable plugin for configuring your navigation panel in different ways. The plugin contains unlimited color options for adding the color of your navigation menu as per your preference. Moreover, the plugin also supports 700+ Google fonts for editing the fonts, font size and font color of your navigation page. 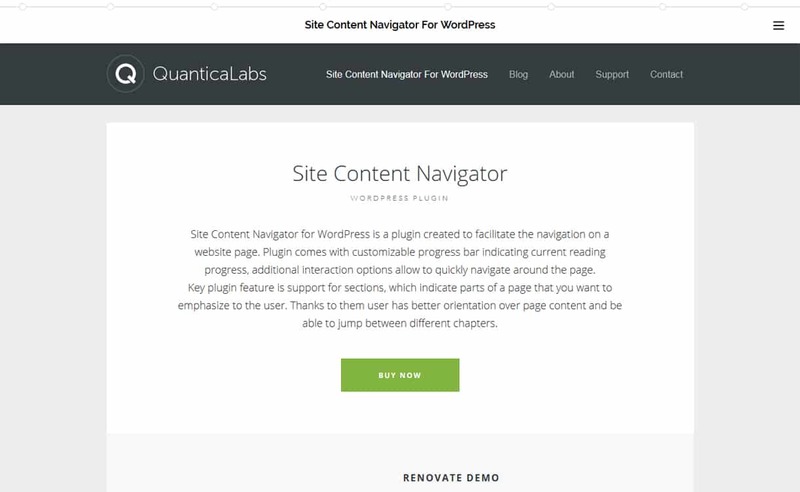 Site Content Navigator is a WordPress Navigation Plugin designed to facilitate the navigation menu of your WordPress site. It comes with a customizable progress bar indicating the current reading progress and additional interaction options that quickly allows navigating the page. 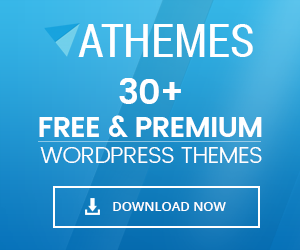 It is a powerful WP plugin that comes with tons of features. You can set the navigation menu on either all pages, posts or post types or on specific ones. Besides, the plugin contains tooltips option for displaying section thumbnails about each of the pages/posts. 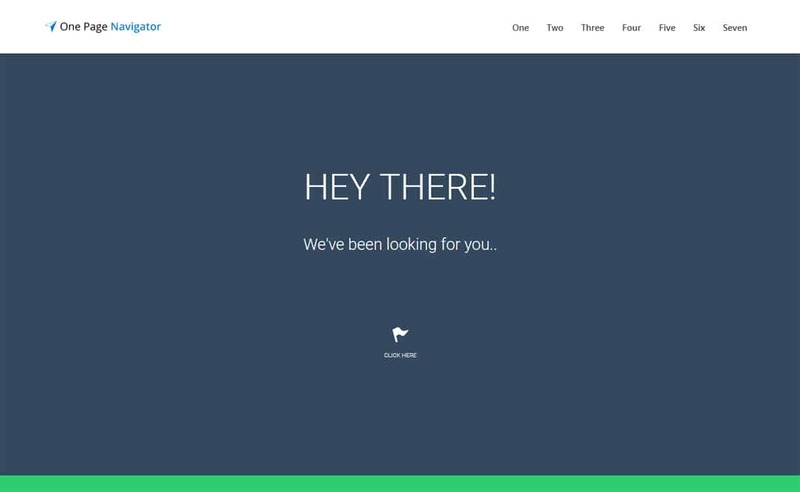 One Page Navigator is an awesome WordPress Navigation Plugin to create a one-page navigation bar on your website. The navigation bar you created can be placed in 3 different positions i.e. on header, footer or on the sidebar of your website. It is a highly customizable plugin that comes with tons of powerful features. The plugin contains unlimited icons and Google fonts to support the navigation menu. Additionally, the plugin also consists of unlimited color options to customize the color of your menu as the way you want to. So, these are the Best 5 WordPress One Page Navigation Plugins that I have handpicked according to its popularity, functionality and positive review by the users. They come with multiple layouts and powerful customization options to add stunning one-page navigators on your WordPress site. Hope, the article gave you a perfect help to find a good navigation menu on your website. If there is any suggestion related to the mentioned plugins feel free to write us. And, if you are already a user of any of the mentioned plugins, feel free to share your experience in the comment box below. You can also go through our other collection of The Best WordPress Form Builder Plugins. 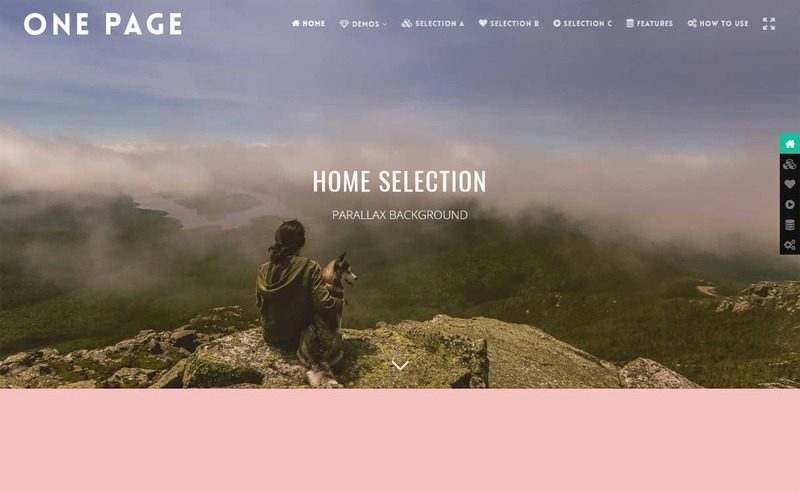 Hey Buddy!, I found this information for you: "5+ Best WordPress One Page Navigation Plugins 2019". Here is the website link: https://wpallclub.com/best-wordpress-one-page-navigation-plugins/. Thank you.